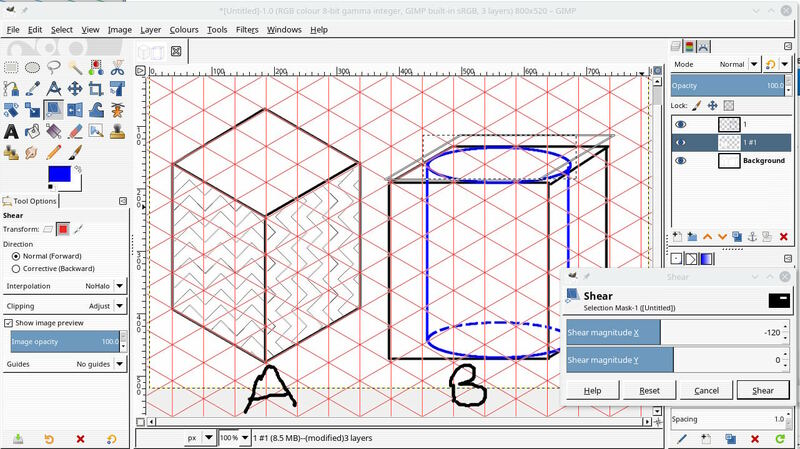 When I create any shape, for example rectangle or circle, and then use shear tool, how can I know what is perfect isometric transform ? I use shear magnitue along Y but I never know what is true isometric value of it. I could be wrong but I do not think you can be definite. Unlike the paint tool where shift-ctrl constrains drawing to 15° increments the shear tool does not work that way. Then it depends on the view. Cube A not possible by shear alone, it takes an initial shear (and guesswork) then a rotate. Cube B could be sheared in place but without that iso template no real way of knowing the angle. A circle is even worse. If you need to make iso drawings a CAD application is advisable. 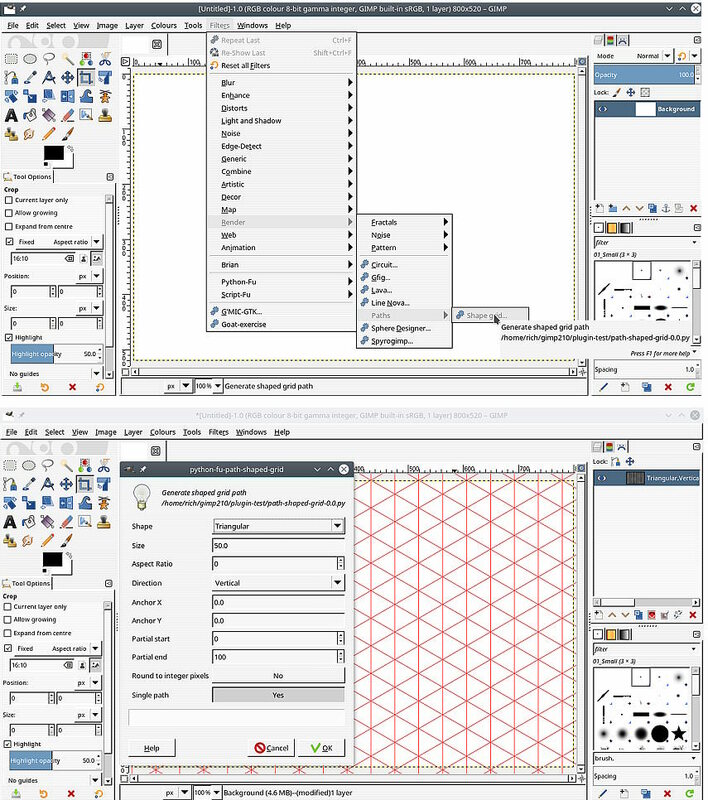 I use LibreCAD (occasionally), not bad and it is free. Thank you. I'll check LibreCAD. How did you get these red lines in the background ? It is an isometric grid generated by Inkscape and exported as a svg file - so it is a path. With an image in place. Open in Gimp by: right click in paths dialogue, select Import path, find the svg file, open it, make it visible. Since it is a path it shows up over any layer, can be scaled to any size, only temporary to aid construction. Attached to play with, remember to unzip it. edit: had to look it up but Ofnuts has a plug-in to generate various grids as paths. The iso is equivalent to 'triangles' with a vertical orientation. Inkscape has an Isometric Projection extension. (11-05-2018, 05:57 PM)rich2005 Wrote: edit: had to look it up but Ofnuts has a plug-in to generate various grids as paths. The iso is equivalent to 'triangles' with a vertical orientation. I placed in plug-ins folder, restarted but can't see this plug in. Thank you. It works. Super buried. These Ofnuts plug-ings should be implemented in official build because they're so useful. How can I turn this triangular grid viewport on and off? (11-05-2018, 07:48 PM)grit Wrote: How can I turn this triangular grid viewport on and off?